You want to unlock your LG K20 because you bought your phone from at&t that mean you didn’t buy lg k20 unlocked and your phone is network locked to the AT&T network carrier that takes away your freedom to use your K20 with any other network, you are at the right place. We can proudly say that we give the fastest and most affordable service in network unlocking AT&T LG K20. Now you can get your USA AT&T LG K20 sim unlocked very easily, all you have to do is follow the instructions and in no time your LG K20 will be unlocked. You can also unlock AT&T LG K10. How To Unlock USA AT&T LG K20? The unlocking service we offer allows you to use any network provider SIM card in your LG K20. this involves AT&T unlock codes which are a series of numbers which can be entered into your phone via the phone keypad to remove the network restriction and allow the use of other domestic and foreign networks. The best method to factory unlock LG K20 is by USA AT&T LG K20 sim unlock code. With this method you dont need to have any prior technical knowledge. All you have to do is order the unlock code, we will provide you with USA AT&T LG K20 sim unlock code. Then you can enter USA AT&T LG K20 unlock code and you’ll have your unlocked Lg K20. How To Order USA AT&T LG K20 Unlock Code? You can order your AT&T LG K20 IMEI unlock code by providing us unique 15 digit IMEI number of your USA AT&T LG K20 and your e-mail address. By IMEI number we will be able to provide you with USA AT&T LG K20 imei unlock code. How To Find IMEI # Of Your Phone? You can see detail about how to find IMEI number of your phone. In short, you can type *#06# on your phone and IMEI # will pop up. You can also see IMEI # of your phone underneath the battery. How To Enter USA AT&T LG K20 Sim Unlock Code? Swap your sim with the one non-accepted. “Enter unlock code” or “Network unlock pin” menu will appear. Just enter the code and your phone will be unlocked. 1. Unlocking your USA AT&T LG K20 by USA AT&T LG K20 unlock code gives you freedom to use any network any where in the world. 2. You dont have to pay for roaming. 3. After unlocking, your USA AT&T LG K20 will stay unlocked forever. 4. USA AT&T LG K20 unlock code will not damage your phone. 5. No Technical skill or knowledge is required. Our AT&T device unlock code service is the fastest and friendliest service that is available online at the moment, it doesn’t require you to have any additional knowledge and you also don’t need to download any software to use AT&T LG K20 Unlock Code . You can read benefits of unlocking your phone here. What Are The Risks Of Unlocking USA AT&T LG K20? 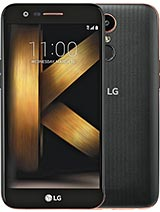 Why Unlock Your USA AT&T LG K20 With LetsUnlockPhone.com? You can check specs of Lg K20 Plus here.